2.17 Know Thy Enemy ♥- kat. . Wallpaper and background images in the Katherine Pierce club tagged: katherine pierce the vampire diaries. 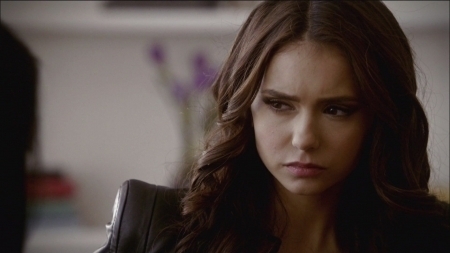 This Katherine Pierce Screencap contains porträt, kopfbild, nahaufnahme, portrait, headshot, and kopfschuss.